Do you want to learn how to make caramel icing? 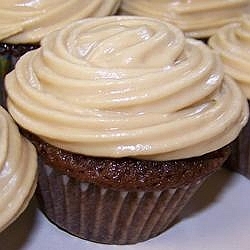 This recipe produces caramel frosting that is so rich, glossy and creamy; perfect on many sweets and cakes. Offering more delicious frosting recipes and homemade cake recipes at the bottom of the page. Add butter, but do not stir yet. Let the mixture cool. Beat well. Add chopped pecans if desired. There is a secret to making this frosting creamy, light, and fluffy. First, set aside 2 to 3 tablespoons of the heavy whipping cream for later. Next, make sure you let the mixture cool COMPLETELY (refrigerate as others suggested) DO NOT STIR. After about 1-1 1/2 hrs in the refrigerator the mixture should be ready. It will look like a thick, gooey, paste. Remove from fridge, and mix with mixer. Add the 2-3 tablespoons of the reserved heavy whipping cream alternately with powdered sugar until desired consistency is achieved.